The Disney-Fox merger seems like less and less of a sure thing with each passing day. 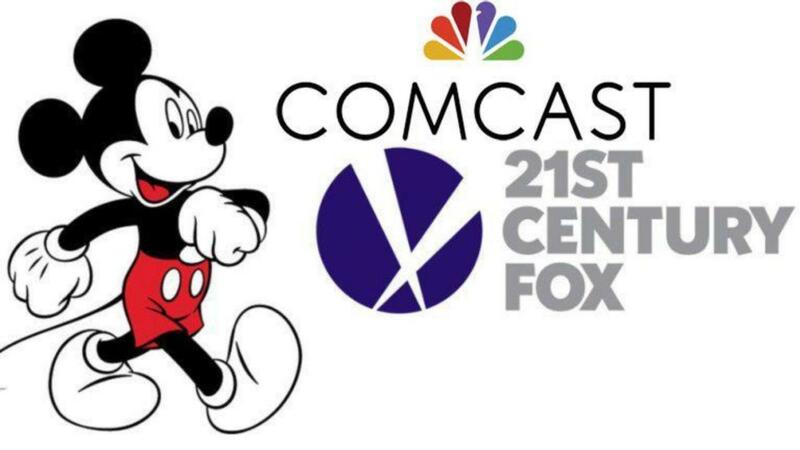 The cable company Comcast, placed a whopping $65 Billion (with a capital B) for the majority of 21st Century Fox’s major film and television assets. This new offer bests Disney’s past offer of $52.4 billion in Disney stocks. I smell a bidding war! This new offer is hot off the heels of the AT&T/Time Warner merger approval from earlier this week. It’s safe to assume Comcast was sitting and waiting to see the results of that merger before putting more money on the table in an attempt to outmaneuver Disney. If that had been denied, I’m sure this new offer would have never been made. Now, what does this mean? As of yet, neither party has been approved for the buyout and with this new offer, Fox’s board members have to reconvene and weigh their current options. They currently have an investor meeting on July 10th but there is now a strong reason to believe that could be pushed back to see if another offer is raised or retracted. The company had expressed interest in Disney’s all-stock offer for the longevity but this new number might be too enticing to pass up. You might have to wait a little longer for your favorite Marvel properties to be under one roof. Despite rumors stating the rights will revert to Marvel regardless of who buys Fox, this new offer slows down the process considerably, perhaps even by another year or so. Fox now has to decide who to go with, which in turn, starts the Congressional Approval Process over again. This means we’ll probably see that announced X-Force movie come to fruition as well as the in-development Gambit, Untitled Kitty Pryde Film, Doctor Doom and any other X-Sequels being planned. What do you think of this news? Would you prefer if Disney owned EVERYTHING?? Let us know @superbromovies on Twitter!